Senior Associates — Realization Services Inc.
has over 25 years of experience working with senior secured lenders and clients, assisting in operations, obtaining financing and performing valuation analyses, forensic examinations and liquidations. Mrs. Kovatsch has demonstrated skill in identifying cost reductions and performing customer profitability analyses. She also negotiates on behalf of clients with unsecured creditors. Prior to joining RSI, Mrs. Kovatsch worked at Takarajimasha in the company's New York offices where she was involved in general management. At Takarajimasha, she performed accounting, project management and financial analysis functions, and acted as liaison among diverse business units. Mrs. Kovatsch’s background also includes marketing management in the textile industry. At RSI, Daniela coordinates staff assignments, handles corporate matters (such as employment and benefits practices) and assists with sensitive negotiations and other difficult business matters. She is fluent in German, and earned her Bachelor's degree in Corporate and Organizational Studies from the University of Connecticut. Exchange-traded firm. He has also held management and financial/accounting positions in a variety of industries, including Distribution, Service, Retail and Trucking/Logistics. Mr. McCann earned his BS in Accounting from Fairleigh Dickinson University. has over 30 years of sales, marketing and general management experience across multiple industries, having spent considerable time in consumer technology. Mr. Bosler is skilled at driving strong operational performance within the complexities of global markets, having managed both domestic and international businesses. He has led strategic transformations and business turnarounds throughout his career. Greg works with management of our clients on strategic business plans and rationalizing business models, often providing interim management leadership to prepare businesses for sustainable results. Prior to joining RSI, Greg spent seven years at Imation Corp., most recently as President of the Consumer Business Unit. Prior to Imation, he spent 15 years with Thomson Inc./TTE in senior marketing and general management roles, culminating in managing the RCA brand television business. Greg began his career in the consumer packaged-goods industry with Duracell. He received his B.S. in Marketing from the University of Florida. has more than 40 years of senior corporate financial experience. Mr. Myers works with management of our clients to develop strategic business plans; interacts with lenders and potential investors; develops new secured and unsecured financing facilities; performs comprehensive enterprise valuations; and oversees a range of operating functions. Prior to joining RSI, Ron spent 18 years at F. Schumacher & Co., most recently as Vice President of Finance and Assistant Treasurer. His prior experience includes twelve years with Unilever working in numerous financial positions in several divisions and companies, including Vice President of Finance for the North American Fragrance and Flavor division. Mr. Myers is an accomplished financial executive skilled in executing a broad range of functions, including developing and implementing strategic and profit improvement plans. Ron is experienced in accounting, finance, cash management, planning, budgeting, valuations, acquisitions and dispositions. At both F. Schumacher & Co. and Unilever, he developed and implemented restructuring initiatives, new financing, and organizational realignments to improve reporting and efficiency. He received his BS in Finance from the University of Florida and an MBA (with a concentration in Finance) from Columbia University. multi-location business and handled its financial reporting requirements. Jeff began his career as a staff accountant for a food distributor. Mr. Betz earned his BS in Finance with a minor in Economics from St. Joseph’s University. tech, consumer products and manufacturing industries. 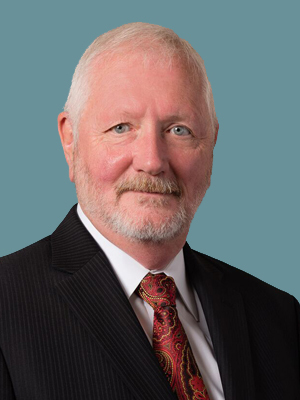 Mr. Wilebski works with our clients to develop strategic business plans; interacts with lenders and potential investors; performs comprehensive enterprise valuations; develops management presentations to support business divestitures and liquidations; and oversees multiple operating functions. John’s prior experience includes 20 years at Imation Corp., most recently as Vice President of Finance. Prior to Imation, he spent six years at 3M. Mr. Wilebski is an accomplished financial executive skilled in executing a broad range of functions, and is experienced in strategic business planning, budgeting, accounting, finance, supply chain, start-ups, due diligence, acquisitions and divestitures. He received his BA in Business Administration–Accounting from the University of St. Thomas in St. Paul, Minnesota. Vice President of Business Development for Atwell, Curtis & Brooks, Ltd., an accounts receivable management services company. His prior experience includes 15 years at Synergistics Research Corp. as Vice President of Finance. Steven is an active member of the Turnaround Management Association as well as other professional associations. Mr. Reynolds earned his MBA in International Finance & Management at St. John’s University. has more than 30 years of experience as a legal advisor to both publicly traded and privately-owned companies. Mr. Furry serves as a member of RSI’s consulting team, and manages the firm’s internal legal matters. Before joining RSI, he practiced extensively in the general corporate, commercial, regulatory and transactional areas. His background includes mergers and acquisitions, secured loan transactions, the restructuring of troubled companies, employment and ownership disputes, the negotiation and structuring of complex commercial agreements, and joint ventures. Mr. Furry was Counsel in the Manhattan office of Parker Chapin LLP (now Troutman Sanders LLP). He also served for six years as Vice President and Counsel at a New York Stock Exchange-listed financial institution, where he handled securities, regulatory and compliance matters and acted as primary legal advisor for real estate lending, leasing and other business units. Mr. Furry received his BS, MBA and Juris Doctor degrees from Cornell University.